If there is one thing that takes all the desired pleasure of life away is fear of the unknown. 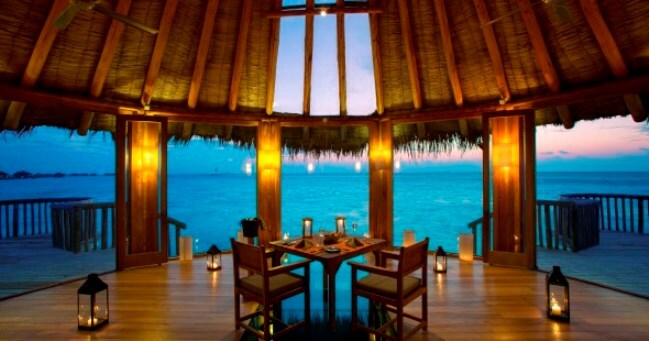 Contrary to the popular belief, HooplaHotels takes you to the unknown that is an epitome of paradisiacal pleasures. 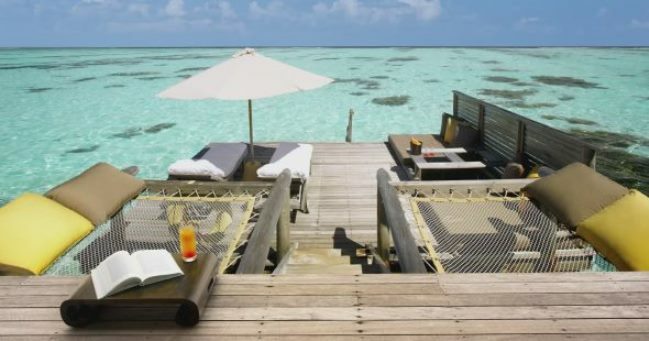 Writing even an epic on Gili Lankanfushi can’t suffice against the heavenly beauty of this hotel that is situated on a tiny coral island of the Maldives. 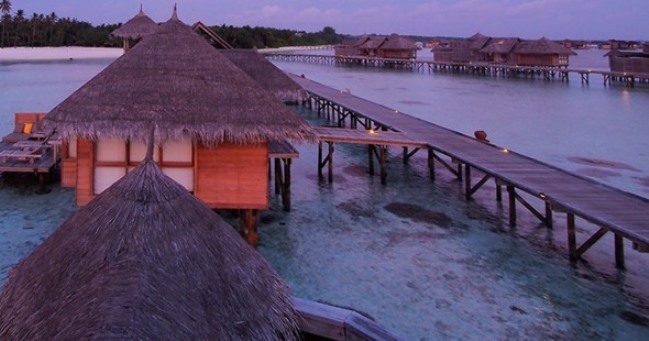 With the policy of “No news, no Shoes”, Hotel Gili Lankanfushi brings you an uninterested joy of unparalleled relaxations, incomparable oceanic views, out-of-the-world personal care and never-before luxury. Wondering, where the paradise is? 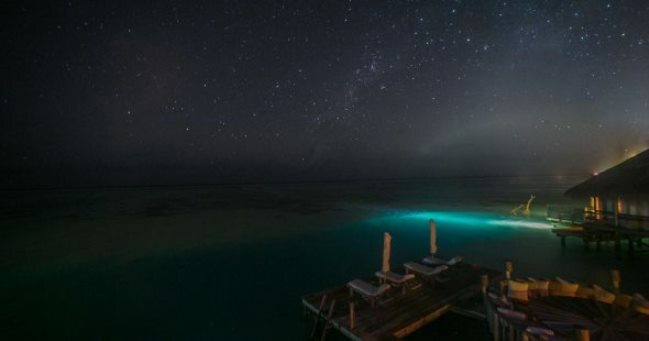 You are right here in the paradise called Gili Lankanfushi. 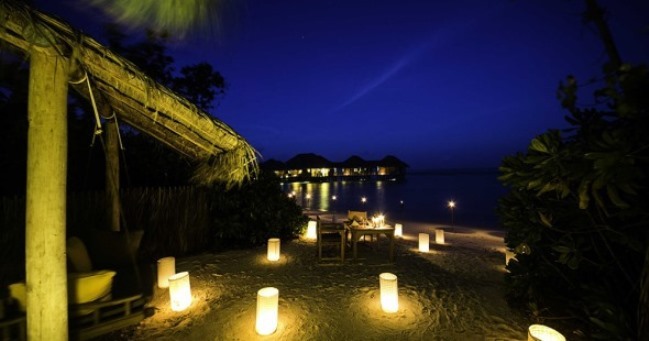 Each of the 45 Villas is located in a sparkling lagoon, with jetties stretching across the crystal water. 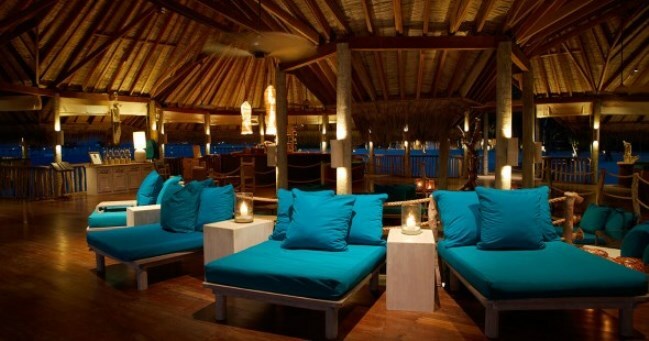 Hotel Gili Lankanfushi has designed each villa using Maldivian tradition. 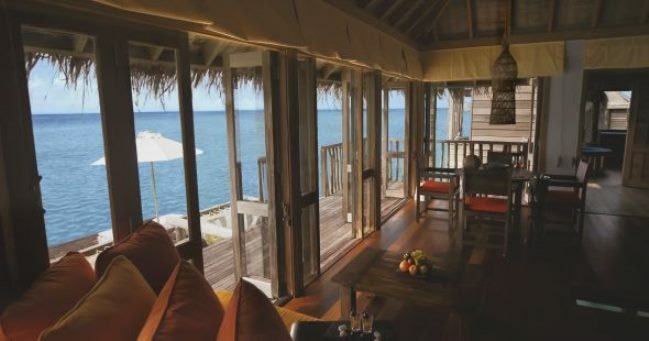 Each of the villas is constructed using plantation teak and recycled telegraph poles and sustainable methods. 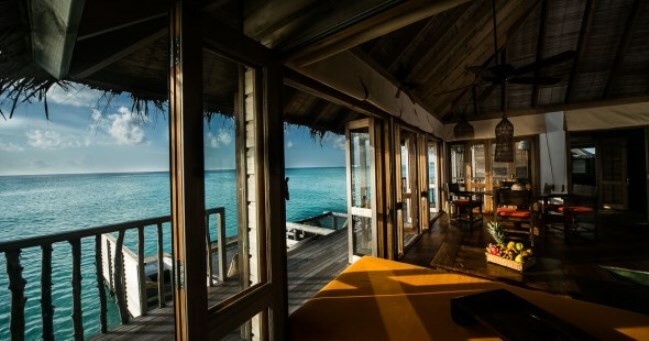 Designed with a sundeck, a roof terrace, and a stunning bathroom with separate private shower that overlooks the lagoon, villas at Hotel Gili Lankanfushi seek to blend rustic charm with modern comfort. Find your own hidden slice of solitude within the luxury villa’s cozy and dynamic environs and share the joy of happiness. 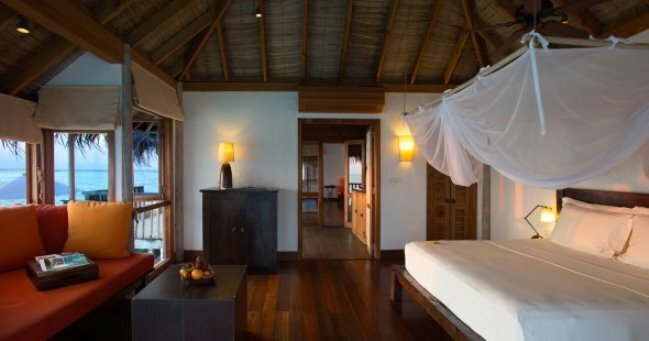 Surrounded by thriving coral reefs, each villa boasts highly contemporary interior and world-class amenities and a 24 hour room service. Each of the villas has an air-conditioned living room with two large daybeds, dining table, a spacious bedroom with King sized bed, mini wine cellar, Semi open-air private bathroom, latest audio visual offering and Wi-Fi. A sumptuous array of the freshest seafood imaginable awaits you. 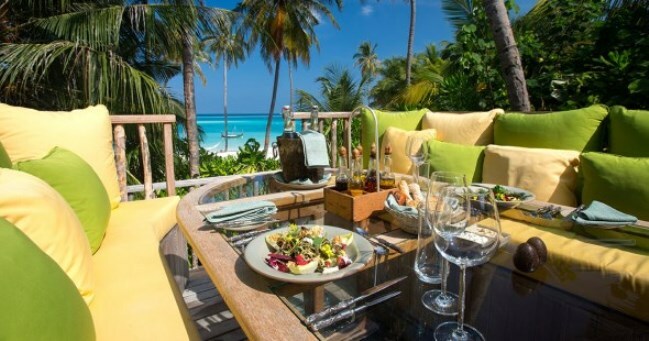 You will be immersed in a taste that is developed using traditional Maldivian techniques and prepared with international flair. 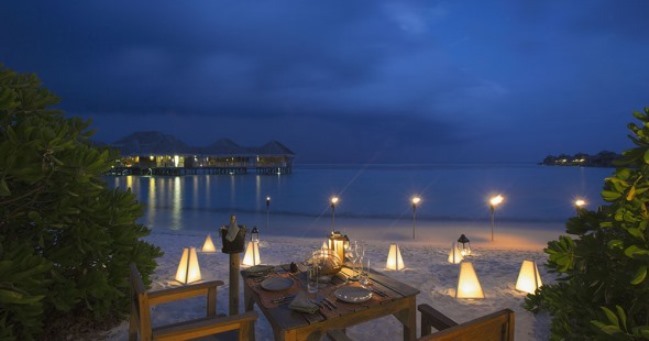 Choices of cuisine at Hotel Gili Lankanfushi is as vast as the ocean. 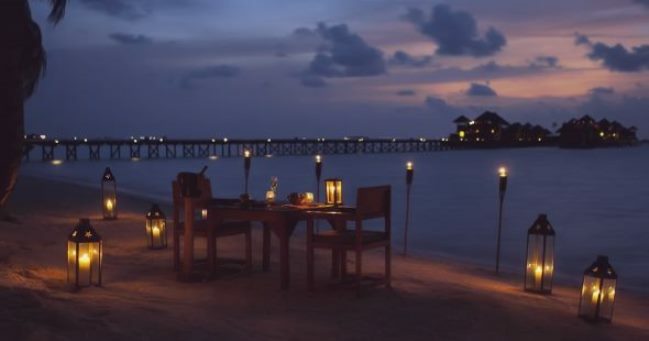 With a different market and grill nights and themed menus with À la Carte, you will be spoilt for your choice of food. 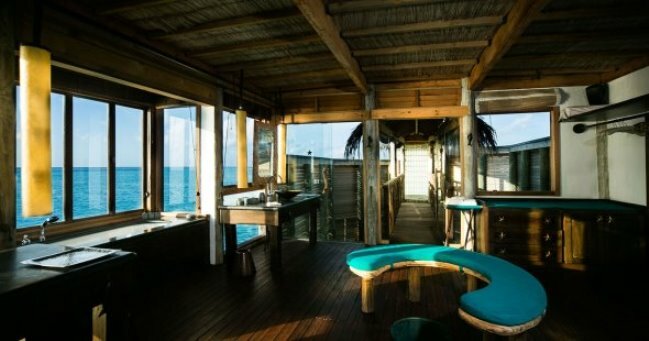 Get yourself pampered with the world’s best spa traditions and treatments to enlighten your senses and peer at the colorful reef life nearby. 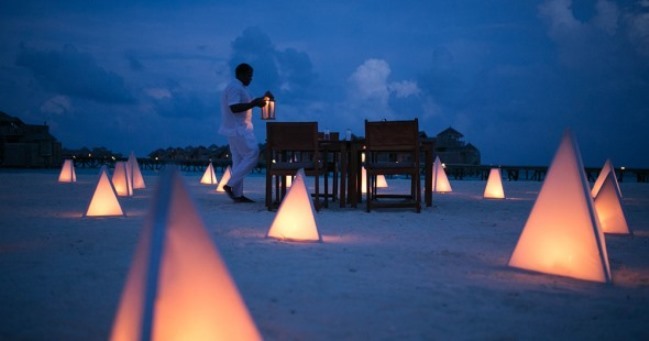 You are never away from the entertainment at Hotel Gili Lankanfushi. 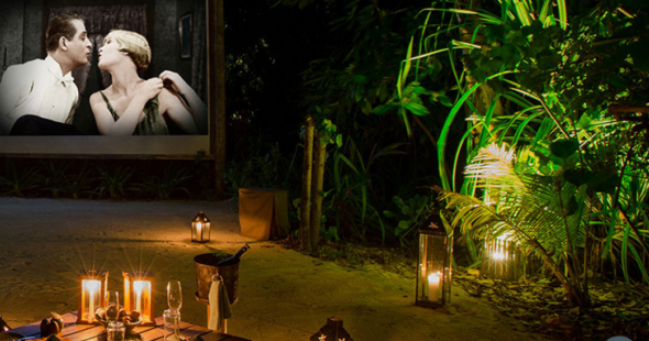 Watch a movie on the beach under the stars on the outdoor movie theatre twice a week. 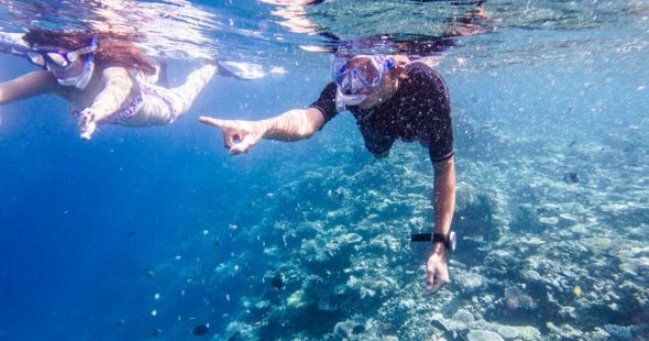 If the water sports are your thing, at Hotel Gili Lankanfushi, you will be indulging in heart-throbbing water sports activities including, scuba diving and deep-sea fishing.